Whether you’re a budding home chef, have your sights set on something more creative or just love food, taking cooking courses taught by an industry expert can bring your culinary skills to the next level. When food is a passion, yearning for the knowledge to go above and beyond creating simple meals is a natural desire. Cooking classes are short courses – usually from 1 to 3 hours – that provide ideas, culinary education and hands-on experience in specific areas related to food preparation, presentation, and overall appreciation. Some of the basic classes offered by cooking schools include instruction on basic wine tasting, knife skills and butchery, baking and cake decorating and basic cooking techniques. Aside from these, there are also specialized classes catered to international cuisine and advanced food preparation topics. Such culinary institutions offer an impressive range of training variations tailored for guests of all experience levels. The classes are presented in a far more fun and informal manner than those offered as part of a formal culinary education. 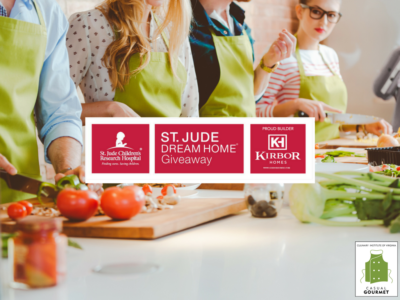 Everyone has their own reasons for enrolling in cooking classes, but learning the intricacies of fine cooking in a hands-on environment not only provides you with a unique culinary experience, it’s sure to give you the skills and confidence to demonstrate your cooking talents with family and friends. In addition to learning exactly which kitchen tool or technique to use for each step of food preparation – from fresh meats, herbs and vegetables to plating a beautiful meal – you can create memories, make friends and might even discover some hidden talents. Let’s take a look at some of the benefits you may realize by taking cooking classes. Even the finest chefs constantly update and improve their skills and repertoire. If you already know your way around your kitchen, taking a cooking class or two may improve the skills you already possess. 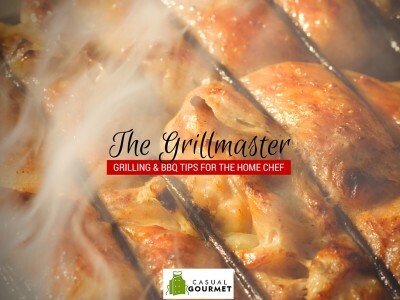 And if you’ve decided it’s time to learn how to cook a meal without the words “hamburger” or “helper” being mentioned, a beginner’s course could not only supply you with some basic kitchen skills, it might just jump-start your untapped culinary imagination. You can watch all the cooking shows on TV, but there’s nothing like the hands-on experience of being in a professional kitchen with an experienced instructor demonstrating his or her skills in real time. One of the biggest benefits of attending a cooking class is learning how to cook a specific type of cuisine. For example, if you already have some experience in the kitchen and want to focus on a specific type of cooking, consider taking a French, vegetarian, or breakfast preparation class. While most cooking classes touch on international cuisine and offer some instruction on those styles, you can further your culinary education in whatever direction you prefer. Who knows – you may have an innate talent for rolling exquisite sushi or creating French sauce fit for royalty. There’s a big difference between the skills a beginner needs and what would be interesting and challenging to a more experienced cook. 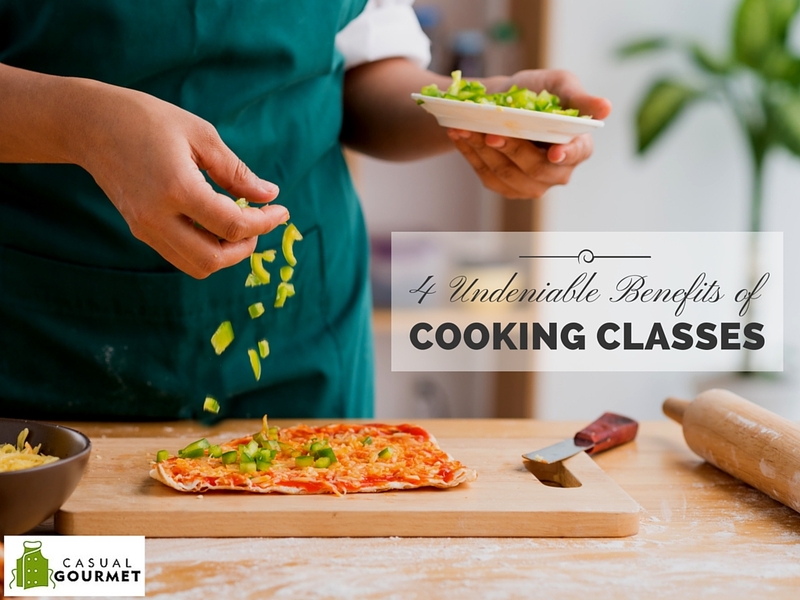 Make sure the class you choose benefits your skill level – especially if it’s hands-on – because, depending on the class size, you might be spending time cooking on your own. Even if you’re an intermediate cook, don’t pass on basic courses – they can still be very much worth your time and money. And don’t do it alone – many institutions offer couples cooking classes. In the past, cooks were often restricted by a limited availability of ingredients, narrow cooking definitions and regional traditions. Today, the culinary world is literally open to all, which offers tremendous personal potential. The easiest way to begin a passion for cooking is to open the door by attending a variety of culinary classes. If you’re already passionate about creative cooking, taking various cooking classes can open up culinary vistas you’ve only dreamed about. As well as improving your valuable kitchen and cooking skills, the classes may also cover such topics as menu planning, sourcing a variety of fresh and unique ingredients, home entertaining tips and essentials. Whatever your motivation for wanting to take a cooking class, you can learn a great deal about good food, good ingredients and good preparation techniques while having great fun. 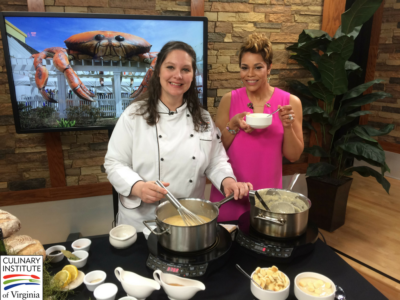 The Casual Gourmet cooking classes, with two locations at the Culinary Institute of Virginia, offers private, demonstration and hands-on cooking classes at the Newport News or Norfolk campuses for couples, groups, families and kids. From cooking basics to wine and cheese pairing, from baking to learning how to cook flavorful holiday dishes, the Casual Gourmet offers you a world of great food experiences in a professional kitchen.